From September 28th to October 2nd, the Spanish ceramic industry gathers in Bologna, Italy, creating the largest foreign participation in the international fair. 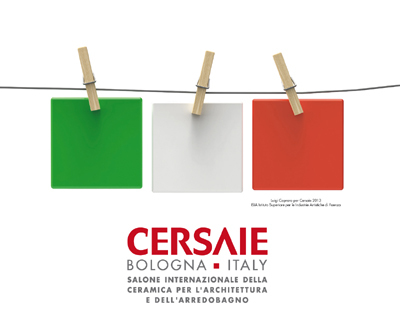 Over 90 Spanish ceramic companies and ancillary industries will participate in the 2015 CERSAIE fair. 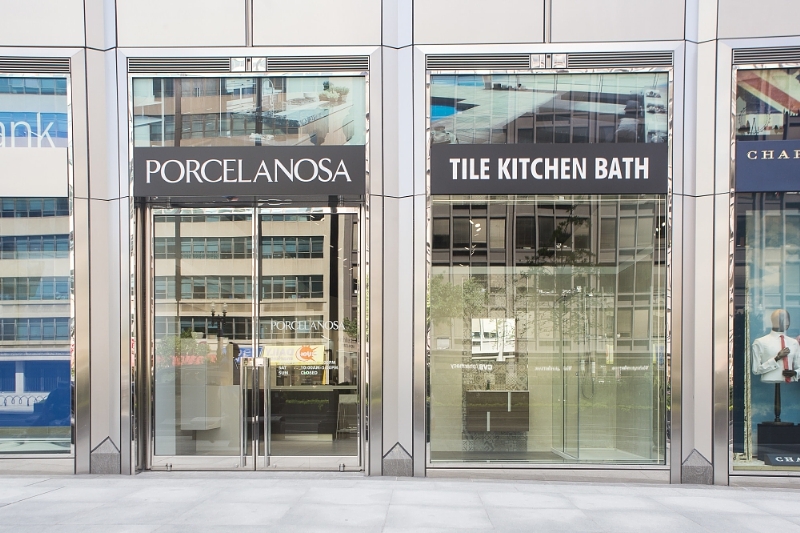 PORCELANOSA, a global leader in the innovation, design, manufacturing and distribution of luxury European tile, kitchen and bath products, has opened their 25th location in the United States in downtown Washington, D.C. The 1,700 square foot showroom contains one full-size kitchen structure, three full bathroom vignettes and a wide selection of product samples which highlight the company’s most popular vanities, fixtures, bathroom products, accessories and floor and wall tiles suitable for any design taste. To further expand their footprint on American soil, PORCELANOSA will also be opening another showroom in Houston, TX on June 25th and will be relocating their U.S. headquarters to the landmark Commodore Criterion building on the northwest side of New York City’s Madison Square Park in mid-July. Situated at the epicenter of New York’s architecture and design community, the New York City showroom, designed by the renowned Foster + Partners, will include a three-story open floor plan, 3-D programmed technologies, a 26 ft. oversized LED screen, interactive tablets throughout and a coveted LEED Gold certification. In addition to tile, bath and kitchen offerings, the Washington, D.C. showroom also features areas dedicated to ventilated facade system designs, XLight extra thin large format porcelain tiles and PORCELANOSA’s patented KRION® Solid Surface material. Smooth to the touch like natural stone, KRION® is a next generation material ideal for both exterior and interior applications due to its fire-proof, chemical-resistant qualities and lack of visible grout joints. To visit the PORCELANOSA Washington D.C. Showroom, please stop by 1000 Connecticut Avenue NW, or visit http://www.porcelanosa-usa.com/ for more information. 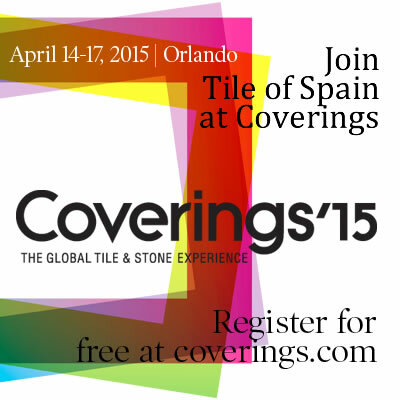 Tile of Spain is pleased to be part of Coverings 2015, The Ultimate Tile & Stone Experience, which will take place April 14 through April 17, 2015 at the Orlando Convention Center, Orlando, Florida. Visitors to the Spain Pavilion, booth 1803, will witness some of the most advanced ceramic tile technology and breathtaking design choices the world has to offer from over 75 Spanish ceramic and stone manufacturers. Click HERE for a complete listing of Coverings activities and presentations in the Spain Pavilion. For complete information about Coverings 2015, The Ultimate Tile & Stone Experience, visit www.coverings.com. Cevisama, the International Fair for Ceramic Tile, Natural Stone and Bathrooms will take place from February 9-13, 2015 in Valencia, Spain. Cevisama is the Spanish ceramic tile industry’s major annual tradefair and is managed in part by ASCER (Spanish Ceramic Tile Manufacturer’s Association) and ICEX (Spanish Institute for Foreign Trade). These organizations are responsible for promoting the Tile of Spain brand worldwide. Architects and designers can enter now to win a February 2015 trip to Spain. Tile of Spain, the international brand representing 125 ceramic tile manufacturers belonging to the Spanish Ceramic Tile Manufacturers’ Association (ASCER), is now accepting entries for the 2015 “Passport to Creativity” contest. 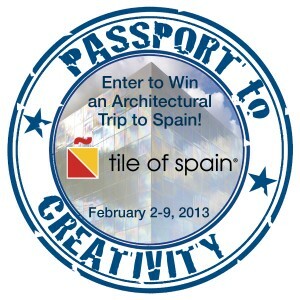 For complete rules, and details on how to enter “Passport to Creativity”, please visit tileofspainusa.com/contest. Entries will be accepted through January 4, 2015. Join La Nova Tile and Tile of Spain on Tuesday, October 28th as we present two CEU presentations about ceramic tile technology, artistry and trends. AIA and IDCEC Credits are available for each course. To reserve your spot, R.S.V.P. by October 24th. Click HERE to register for the Morning Session starting at 9:30 AM. Click HERE to register for the Afternoon Session starting at 12:30 PM. 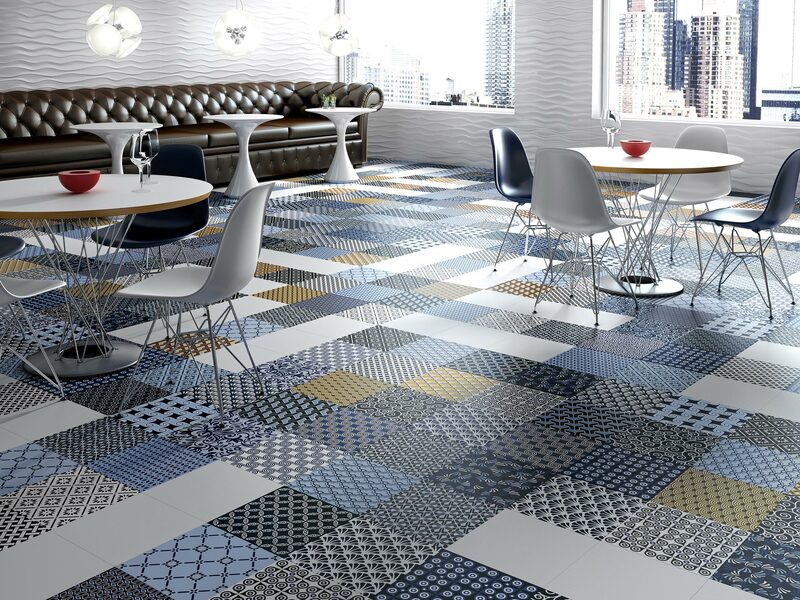 Tile of Spain USA consultant Ryan Fasan will conduct a CPD seminar Tuesday, September 30th at the SCIN Gallery in London, England on classic tile design reinvented for today’s projects. 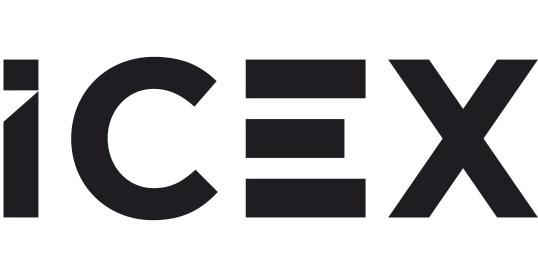 Tile of Spain will present a special CEU at the Spain Experience Event organized by ICEX and LFP World Challenge on Sunday July 27th in San Francisco, CA. The 2014 Spain Experience event will feature a product showcase and exhibits featuring innovative Spanish companies, such as Ceramicas Calaf, Levantina, The Size and Porcelanosa. The ceramics industry is on a rapid innovation trend similar to the tech industry. Unlike the latest smartphone or tablet though, our clients will keep our product for at least the next decade and it’s up to us to give them the solutions that will stand the test of time. It doesn’t matter if your main clientele are design professionals, builders or end-users, the goal is to streamline your process so that you can spend more time doing what you do best – setting tile. To register, visit the NTCA website HERE. Coverings 2014, The Ultimate Tile & Stone Experience, will take place April 29 through May 2, 2014 at the Las Vegas Convention Center, Las Vegas, Nevada. Click HERE for a complete listing of Tile of Spain Coverings activities and presentations in the Spanish pavilion Booth 5021. Click HERE for our video to view all the new products and trends. 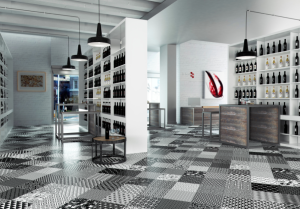 Tile of Spain is co-hosting a CEU and Networking Event Wednesday April 9, 2014 with ITALGRES in their new Wynwood showroom in the Miami, Florida area. The CEU ‘Specification 2.0: Understanding Ceramics to Use Their Full Potential’ will be presented by Ryan Fasan, Tile of Spain Consultant. The event will be held Wednesday, April 9, 2014 from 4:30 pm – 7:45 pm at ITALGRES Wynwood Showroom, 2048 NW Miami Ct, Miami, FL 33127. Valet parking is available. IDCEC and AIA CEU credits available. CEU presentation to begin at 5 PM. Register for FREE tickets HERE. RSVP by April 4th. Cevisama, the International Fair for Ceramic Tile, Natural Stone and Bathrooms will take place from February 11-14, 2014 in Valencia, Spain. Cevisama is the Spanish ceramic tile industry’s major annual tradefair and is managed in part by ASCER (Spanish Ceramic Tile Manufacturer’s Association) and ICEX (Spanish Institute for Foreign Trade). These organizations are responsible for promoting the Tile of Spain brand worldwide. Tile of Spain will present a CEU course at the Society of American Registered Architects Annual Conference, New York City, October 10 -13, 2013. More information about the event can be found at http://www.sara-national.org/events.conferences.html. From September 23rd to 27th, the Spanish ceramic industry gathers in Bologna, Italy, creating the largest foreign participation in the international fair. 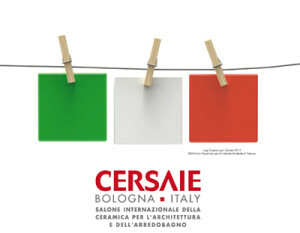 94 Spanish ceramic companies and ancillary industries will participate in the thirty-first edition of the CERSAIE. Spanish participation in the Italian event exhibitors this year includes ceramic sectors (80 companies), bathroom equipment (6 companies), and ancillary industries and related ceramics (8 companies). Join Tile of Spain at the American Institute of Architects 2013 National Convention and Design Exposition (Booth #3346), held at the June 20-22, 2013 in Denver, Colorado. 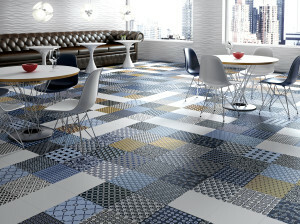 Here’s a preview of the Tile of Spain products and companies that will be on display at the show. Today it’s all about client’s perception of your brand, and more importantly, what they are saying about your service and products. 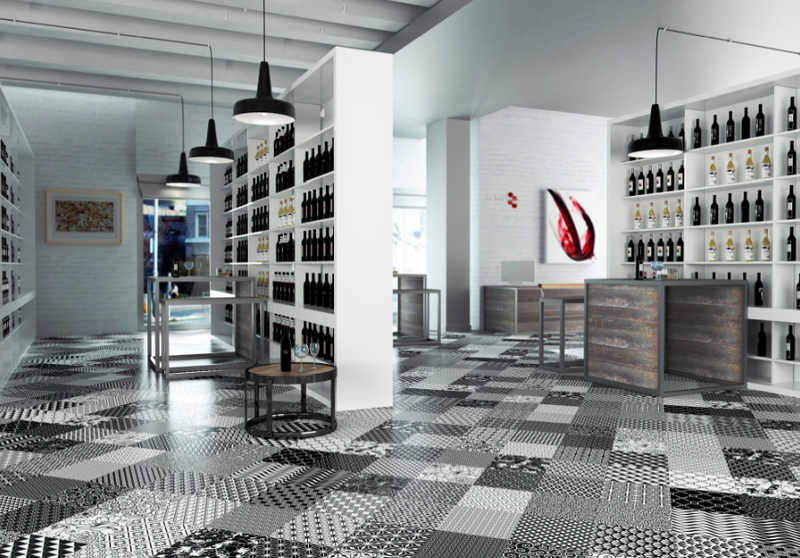 Tile distributors have the unique ability to impact end-users in their target market through thoughtful product selections and the creation of a unique brand, utilizing Tile of Spain’s leading manufacturers. Creating synergy between your brand and the progressive products you represent can create something ‘Uniquely Different’ about you in your clients’ minds. Coverings, The Ultimate Tile & Stone Experience, takes over the World Congress Center in Atlanta, GA on April 29 through May 2, 2013. Visitors to the Spanish Pavilion at this year’s Coverings Show will witness first-hand what makes Tile of Spain “distinctively unique”. For a complete listing of Coverings activities, click over to the blog post Tile of Spain Announces Coverings 2013 Activities. Cevisama, the International Fair for Ceramic Tile, Natural Stone and Bathrooms will take place from February 5-8, 2013 in Valencia, Spain. Cevisama is the Spanish ceramic tile industry’s major annual tradefair and is managed in part by ASCER (Spanish Ceramic Tile Manufacturer’s Association) and ICEX (Spanish Institute for Foreign Trade). These organizations are responsible for promoting the Tile of Spain brand worldwide. Click here for a preview of select Spanish Tile manufacturers displayed at the 2013 Cevisama Show. Tile of Spain is proud to announce the launch of “Passport to Creativity” contest – Show Us Your Creativity, And We’ll Show You Spain. Four design professionals will be selected to attend an all expense paid, CEU architectural tour and trip to visit Cevisama 2013 in Valencia, Spain – entries accepted through December 3, 2012. To enter, architects and designers must show their creativity! Tile of Spain is asking architects and interior designers to submit a picture of themselves with Spanish Tile. It can be a picture of them holding a catalog, a picture (printed or on a phone), a drawing of a room or even sample of Spanish Tile. They can also stand next to a project where they specified Spanish Tile. Visit the Inspiration Gallery, and snap a picture of yourself with an image from the page. It’s easy! For complete rules, and details on how to enter the “Passport to Creativity” contest, please visit tileofspainusa.com/contest. Part of the Tile of Spain 2013 Architects & Designers Tour running February 2 to February 9, 2013, the “Passport to Creativity” trip includes time to explore Spain to be immersed in the culture, sample Spain’s world-famous culinary arts, observe sites and attractions with architectural and design significance and to gain a general understanding and appreciation for Spain. The trip also includes a guided visit to Cevisama 2013, factory and booth tours and a press conference. All participants will earn 4 CEU credits.